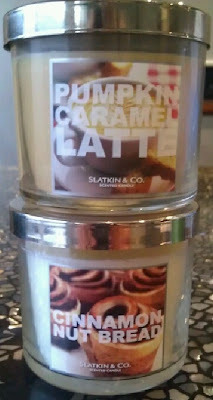 I have been obsessed with bath and body works "Slatkin & Co' candles for as long as i can remember. For any and all Youtube subscribers and blog readers you will probably understand the obsession that is these AMAZING smelling candles.. 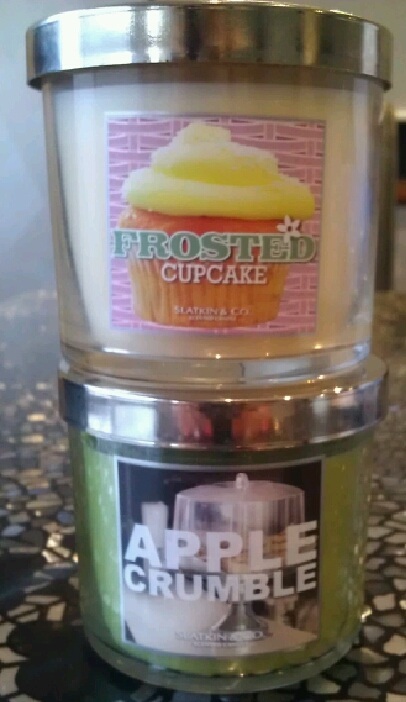 The Apple Crumble candle has a slightly less sweet smell with a lovely over powering smell of granny smith apples. I wouldn't say this smells exactly like apple crumble more like apple pie filling but i'm not picking up any of the "vanilla crumble" that is written in the scent description. Cinnamon Nut Bread is such a yummy smelling candle. 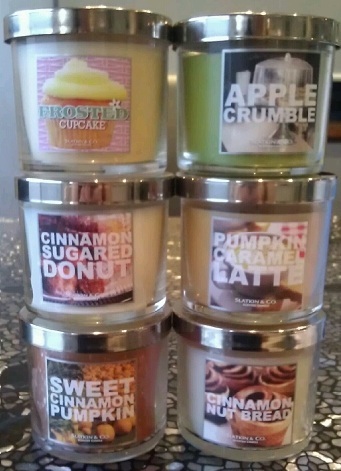 It smells exactly like cinnamon & walnut scrolls. The scent isn't to over powering which is good because i don't like when cinnamon scented things smell to strong they aren't as nice. 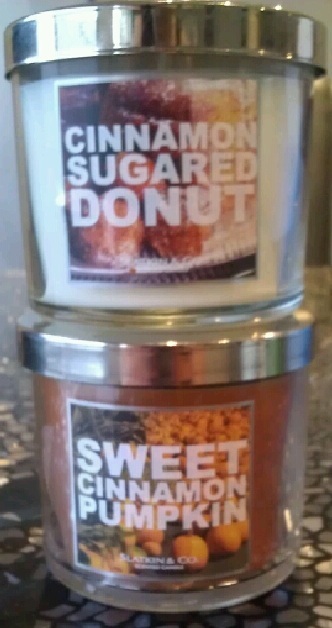 this candle makes me want to take up baking as i want my house to smell this good all the time. Now this Sweet Cinnamon Pumpkin candle is my least favourite of all the candles i purchased and i very much do regret it. It smells like pumpkin pie which i honestly don't mind but the cinnamon smell in this candle is to strong and it over powers the rest of the scents and it's just not something i enjoy which is a shame as i really did think i'd like this one. These candles costly me about roughly $15 each (including shipping cost's from America to Australia) that may seem like a lot of money but i do think it was worth it if only we had a Bath & Body Works here in Australia my house would be full of candles. Has anyone else purchased these candles before? What is you favourite scent?